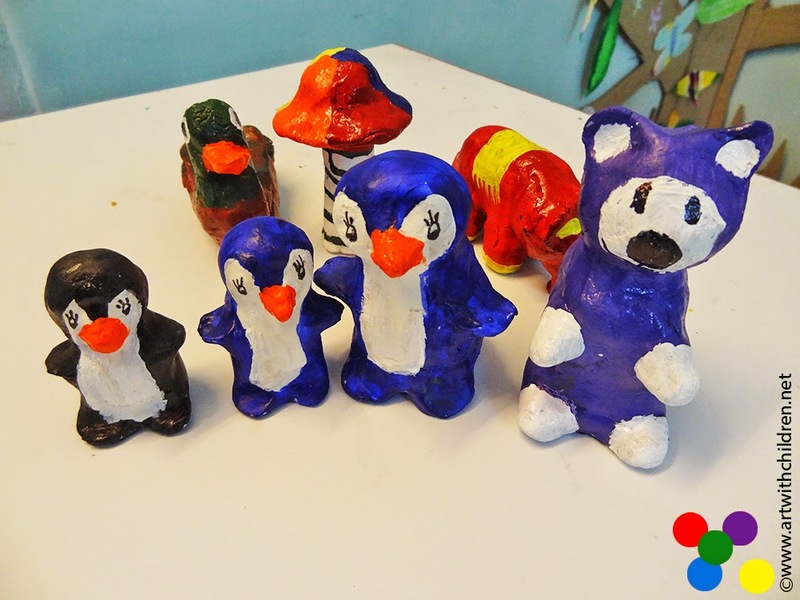 Clay modelling is an all time favorite project with children. The nature of the material is such that everybody likes to make something on the first impression. 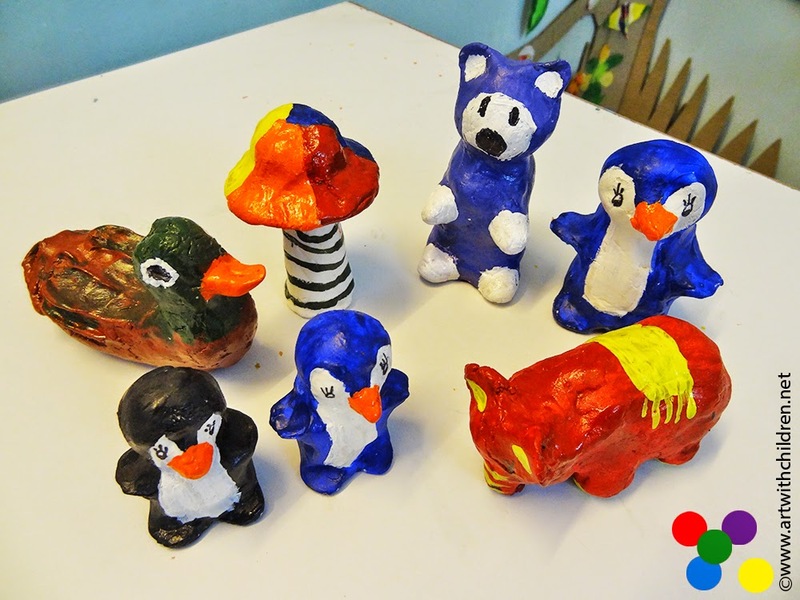 It is always a pleasure to view their creative clay gallery, proudly displaying their painted and finished works! While some children have trouble creating on their own and the stuff may not turn out as expected, will need guidance and help. We used a lot of home made clay and play doh for our past projects. And now we are enjoying working with AIR DRY clay! The most interesting material we've been digging our fingers into! We used the light air-dry clay, which is incredibly light-weight and becomes even lighter when dry. We also used another version of air-dry clay which dries slowly to a rock hard consistency without shrinkage. 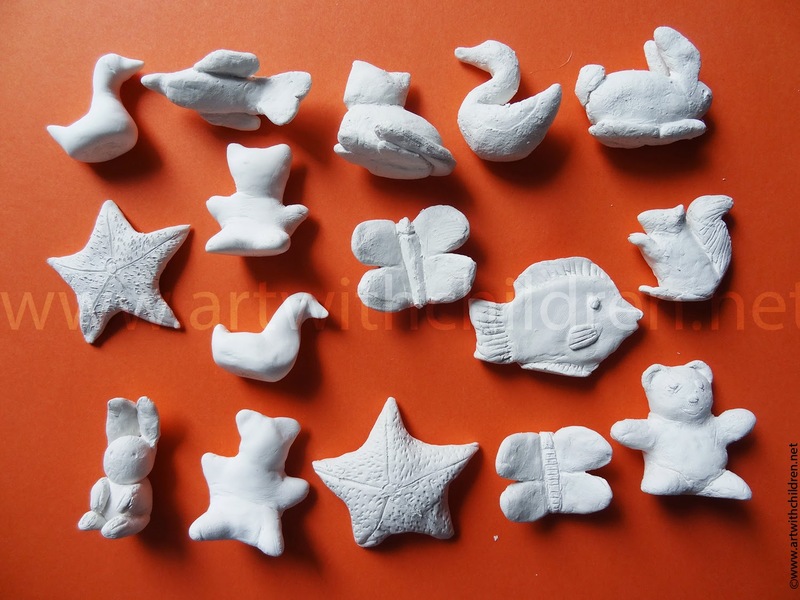 Both the varieties of clay can be painted when dry. Add some googly eyes if available or other embellishments like beads or colourful sequins. Here are more models made by a 9 year old. She made all of them over the weekend at home and shared with us! They look gorgeous to me!! 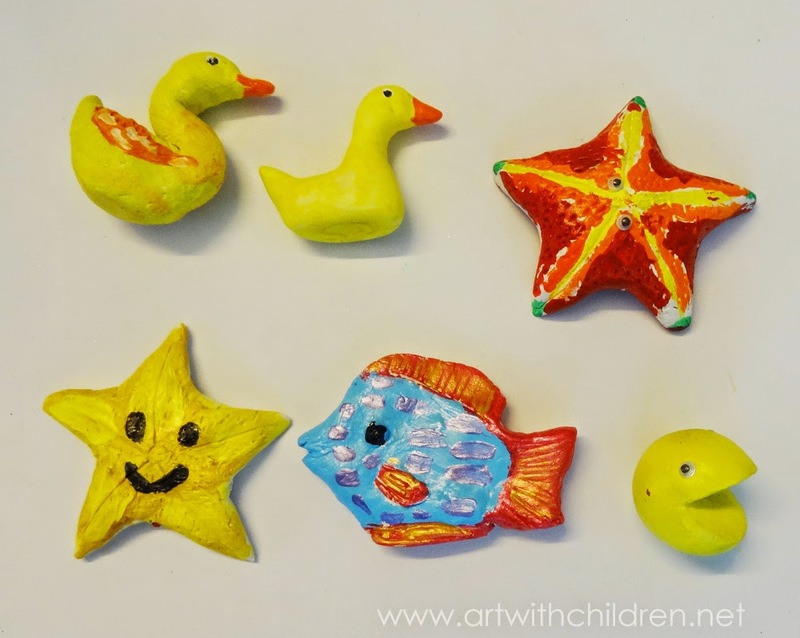 Enjoy clay modelling at home!